While Easter is the most important holiday of the year for Christians, it’s also a pretty exciting day for foodies. 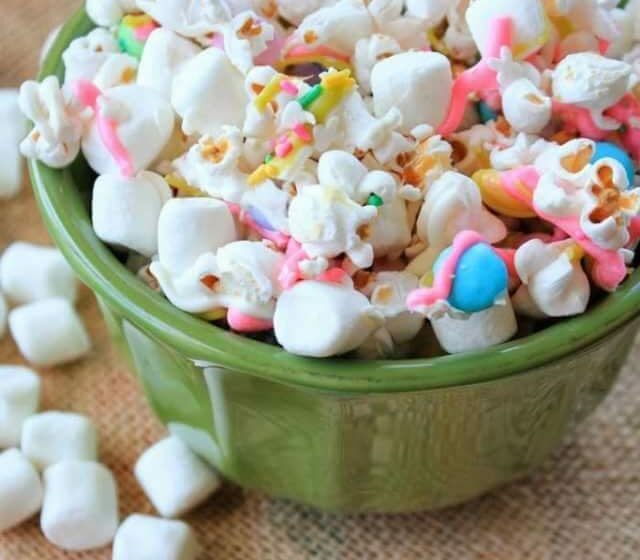 Those with a sweet tooth look forward to trying new recipes that involve classic Easter candies and festive ingredients. Since most of us tend to outdo ourselves with Easter meals, it’s always nice when we get to sit and enjoy them with our loved ones. Whether you celebrate Easter on the actual holiday, the night before, or the day after, these delicious Easter desserts are going to give you something to savor after your belly has been stuffed with appetizers and an entree. You’ve probably already started seeing spring colored M&Ms in stores. Now you can grab a bag to take home and use for a colorful Easter dessert. 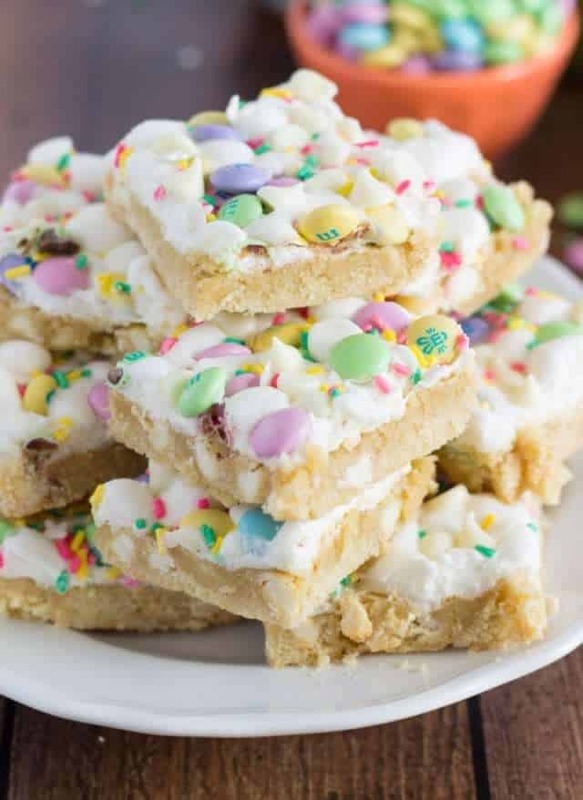 Made with white chocolate chips, brown sugar, and mini marshmallows, these confetti bars are easy to make and look so, so delicious! Head over to Chelsea’s Messy Apron for the full ingredients list and baking instructions. 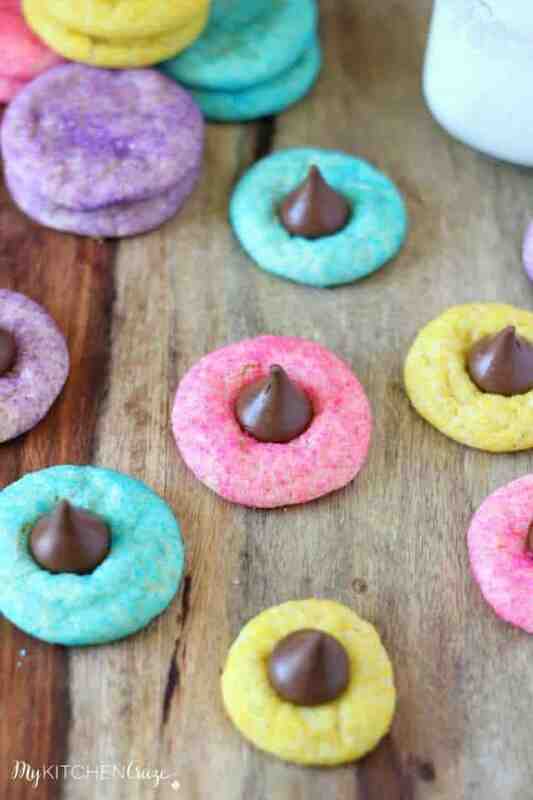 If you like Hershey’s kisses, you’ll love this sugar cookie recipe. Not only do these cookies sound yummy, they’re so pretty! I almost want to make them just to have something nice to display in my kitchen. But these can be prepped and baked and ready for consumption in about 30 minutes, so there’s really no excuse for not trying these. Get the baking directions and list of ingredients from My Kitchen Craze. I do not like Easter peeps. I think those “marshmallow” chicks are just gross. But if they were mashed up and mixed with other ingredients, I could probably get over my disdain for them. I mean, I like Rice Krispy Treats, so I’m sure I’d like these. 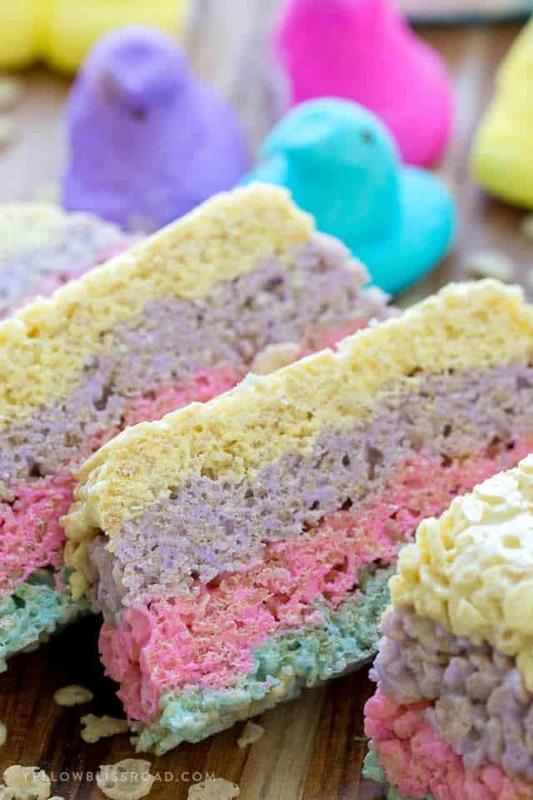 No matter how you feel about peeps, I think these layered Easter sweets are worth a try. Find out how to make these at Yellow Bliss Road. The post 10 Delightfully Delicious Easter Desserts appeared first on Life As Mama.